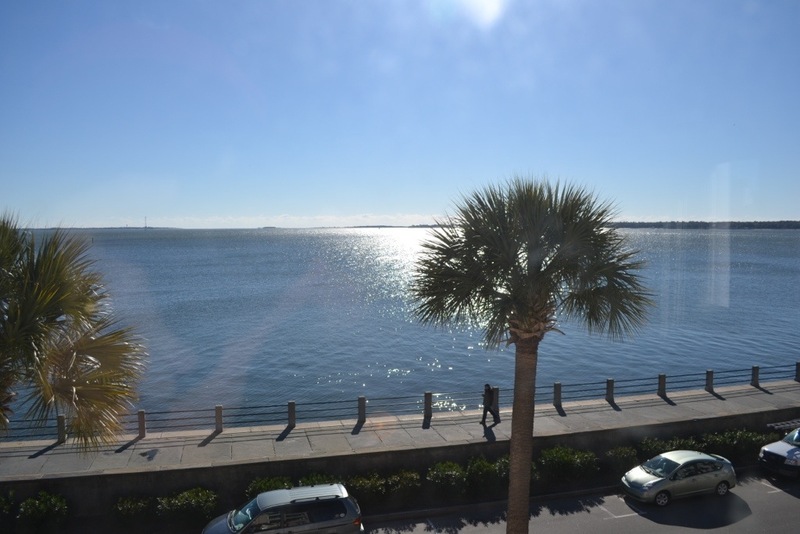 It was a sunny but cold morning in Charleston. The B&B offered a buffet Southern breakfast, so we had eggs and grits and biscuits. Yum. The view from our room was brilliantly bright, you wouldn’t know it was cold. 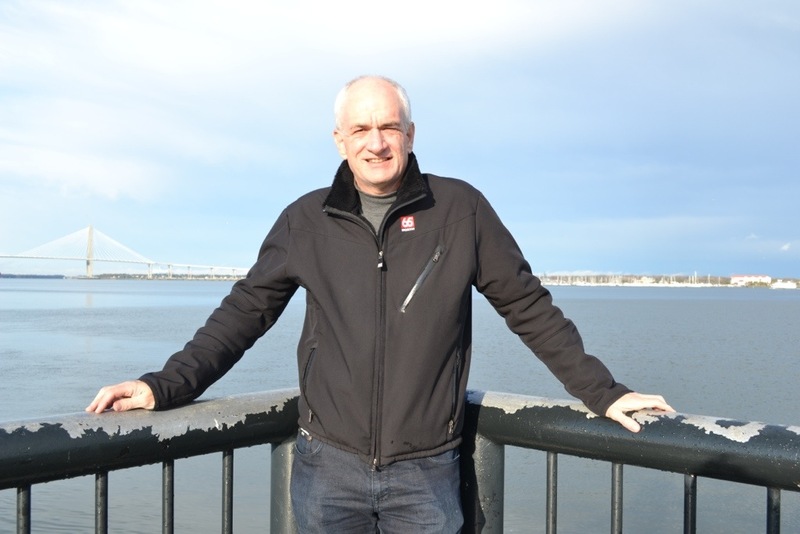 We walked around the The Battery, which is a park with water on 2 sides. 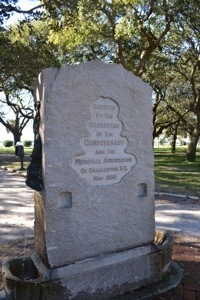 Where else would you monuments from the Daughters of the Confederacy? 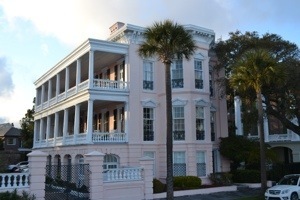 We then drove around historic Charleston, marveling at the homes and buildings. It is a unique place, with the history so clearly embraced and alive. 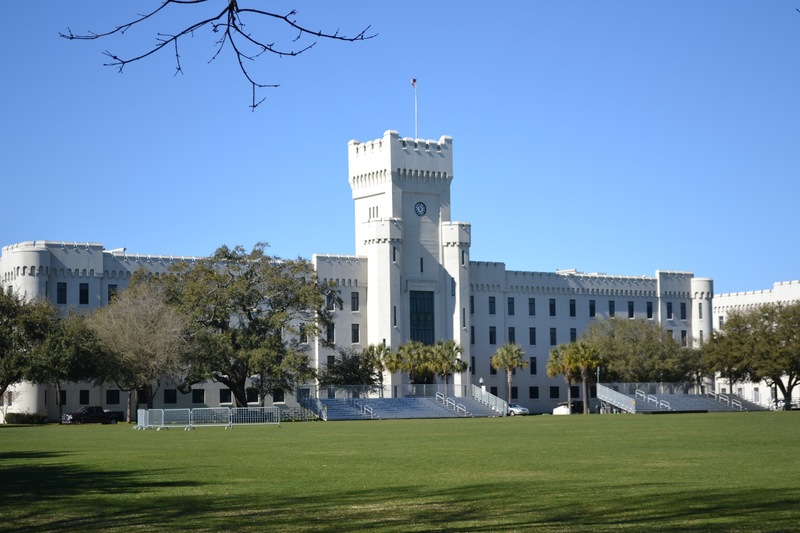 The boyfriend of the B&B hostess goes to Citadel and she recommended we visit the campus. The picture at the top of the page is a good look at e green and the buildings. 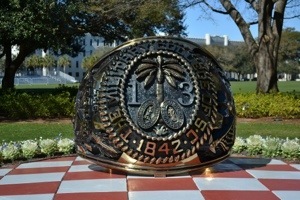 When entering the campus, you are greeted by this giant class ring. It was worth the visit. It was now lunch time. There are two restaurants in Charleston visited by Guy Vieri and “Diners, Drive Ins and Dives.” We wanted to visit Tattooed Moose, mainly because how can you not visit a place by that name. It opened at 11:30, we got there at 11:50, and there was an hour wait. 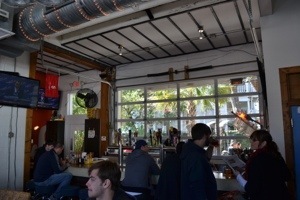 Plan B was Fuel, a restaurant in a converted gas station. No wait, great food. I had fried chicken and waffles, one of my favorite breakfast dishes. Time to get in the car and head north. 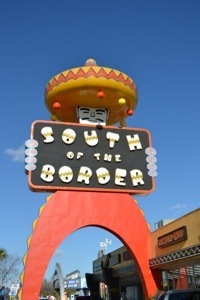 I had promised Ellen we could stop at South Of The Border on the way back. So we did. It was cold and windy, so we chose not to walk around a lot. Ellen bought a magnet as a souvenir, and then we were off. We arrived in Durham around 6pm. We are staying at the Marriott in downtown. It is right across from what was the sole tall building back when I was here. 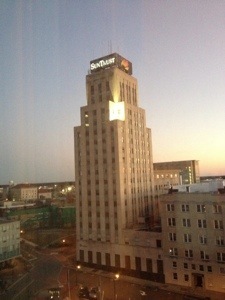 It was the CCB building, now it is Suntrust. Central Carolina Bank, you are missed! Dinner was at Watts Grocery a place Ellen had found. I had the ribeye steak, delicious, but too big to finish. Tomorrow we make a quick visit to Duke and then head home. 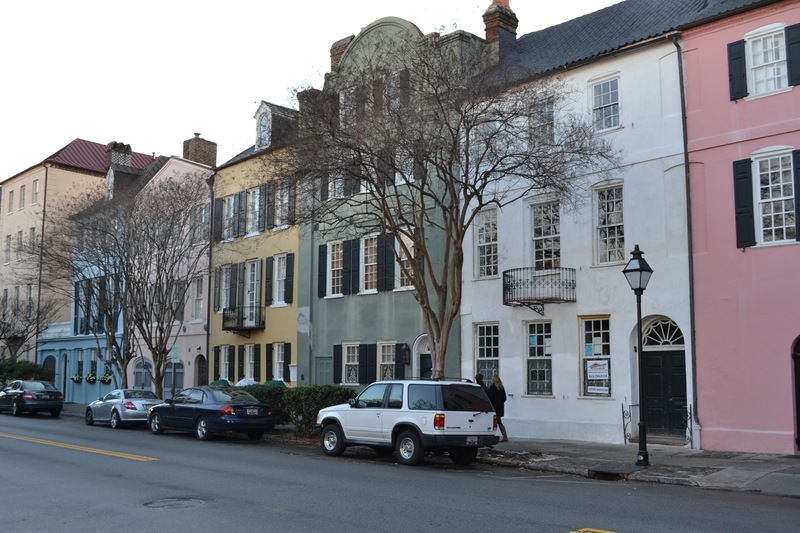 It was a little bit more than a four hour drive from Wilmington to Charleston. Would have been a little longer but I wouldn’t stop at South Of The Border for Ellen. I told her maybe on the way back. We got to our B&B just around 1. It is right on the water with great views and about a 15 minute walk into town. 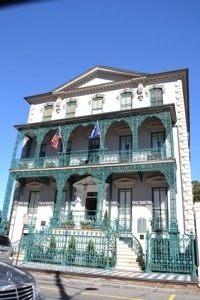 The house dates back to before the Civil War. 15 bedrooms, 10 baths, just 18,000 square feet. It was only a summer home. We saw our room, heard the history of the house and then set out to explore. It was in the 40’s and windy. We stopped for lunch at Magnolias for lunch. We then walked more, but it started to rain. There are a series of buildings that contained a market of vendors. We walked through to see and to avoid the rain. We stopped for coffee/tea in a local place. By the time we warmed up, the rain had stopped. 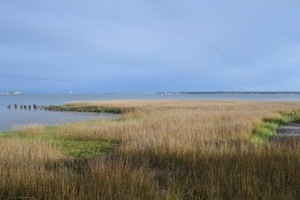 We walked to the water now, to see Fort Sumter in the distance. 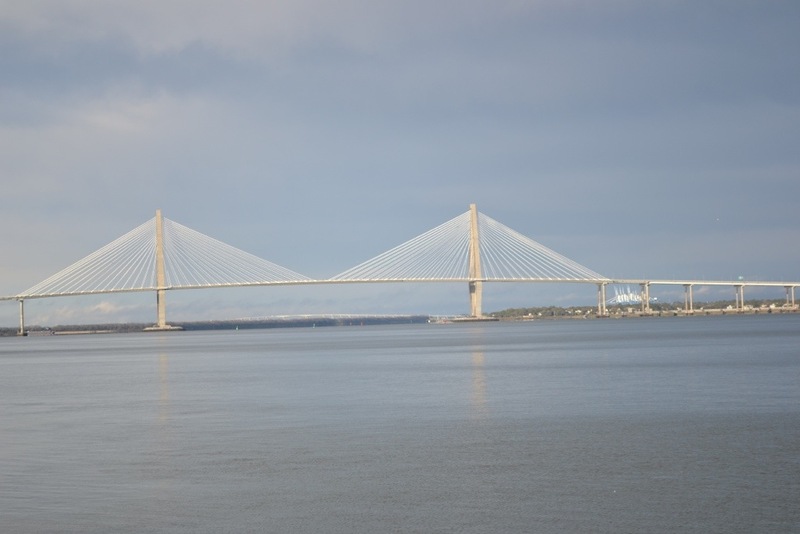 We had a good view of the Ravenel Bridge. With a little bit of sun, it was better to walk around and see the houses and buildings. It was a good thing Ellen made dinner reservations, as the town is full, with a wildlife exhibition drawing crowds. But of course, Ellen planned ahead and we had a great meal at Anson Restaurant. Ellen had salmon, and I had a whole flounder in apricot sauce that was fantastic. The wind kicked back up, so we had a chilly walk back to the B&B. It is supposed to be cold again tomorrow, so we don’t know how much walking we’ll do before we head to Durham.